Item # 315143 Stash Points: 8,995 (?) This is the number of points you get in The Zumiez Stash for purchasing this item. Stash points are redeemable for exclusive rewards only available to Zumiez Stash members. To redeem your points check out the rewards catalog on thestash.zumiez.com. 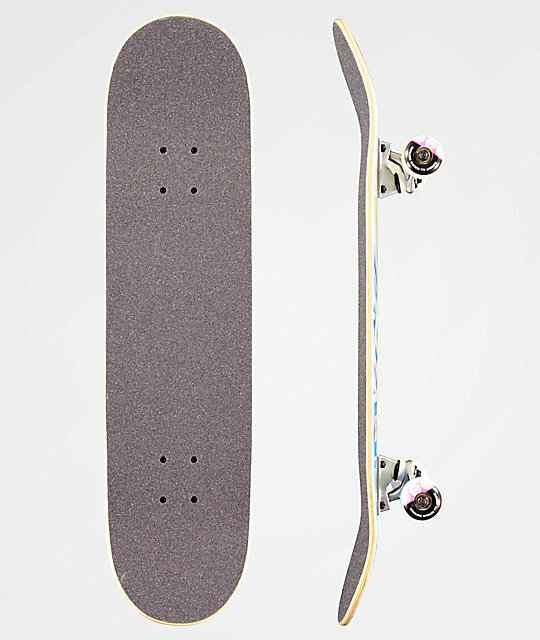 Start your skate career off right with the Element Eye Trippin 7.75" Skateboard Complete. Element brand trucks keep your ride stable and 52mm 95a wheels provide excellent acceleration and grip. Finished with abec 5 bearings for carrying speed and a wild tie dye graphic, this set up is an ideal starting point for any skater. 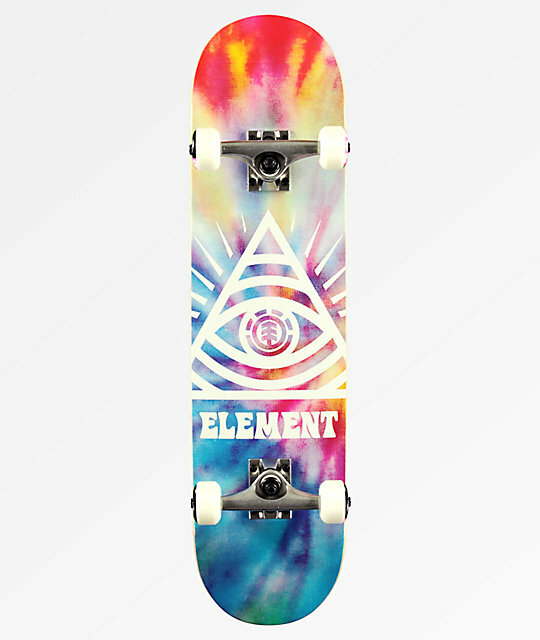 Eye Trippin 7.75" Skateboard Complete from Element. Element 52mm 95a graphic wheels.